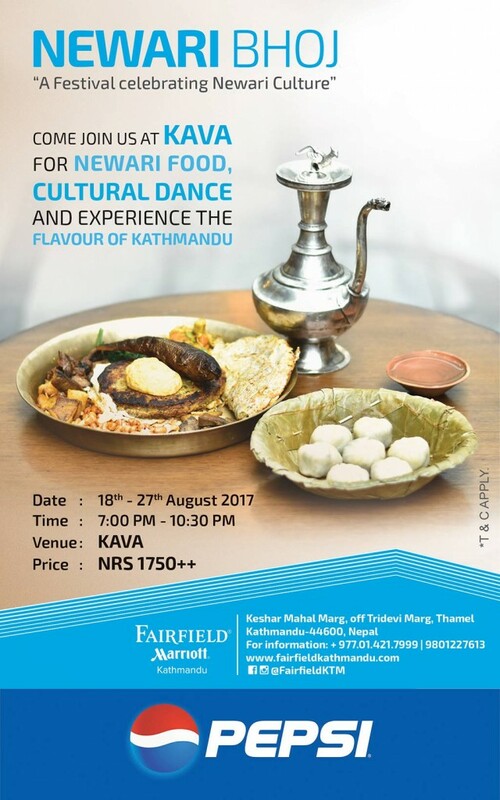 Fairfield by Marriott Kathmandu is organizing “Newari Bhoj” from 18th August to 27th August 2017. This is a 10 days food festival to celebrate the unique food and flavors of Newari Culture. 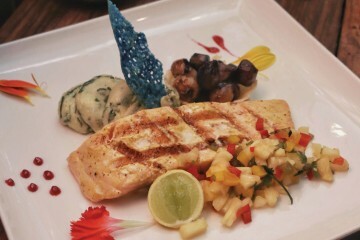 As Fairfield by Marriott Kathmandu believes in promoting and supporting local tradition, this food festival will provide a platform for Newari artisan home cooks to make sure we capture the truly authentic flavours ,unique to Newari Cuisine. To add to the festival atmosphere Traditional Dance, entertainments and live bands will ensure the visitors and locals can enjoy the event. 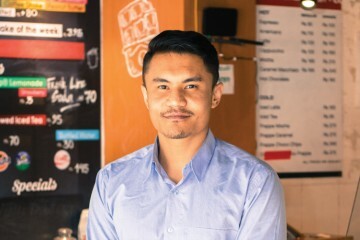 Among the food and beverage options the hotel will have variety of Newari snacks, main course and dessert followed by the traditional Newari drink. The price is Nrs 1750.00 plus taxes per person and the festival will begin every evening 7:00pm onwards during those dates.